When Marriott embarked on a six-month renovation of the Courtyard Arlington Rosslyn, they overhauled the entire space: They redid all the "soft goods" in the rooms, replaced wallpaper, brought in new tables and chairs for The Bistro and changed the property's color palette to grays and purples. The fitness center is now all-new, with new TVs, weightlifting equipment, yoga equipment and a rubber-matted floor. And perhaps most significant, the large meeting room on the ground floor added 1,000 square feet of additional event space to the already existing 1,277 square feet. 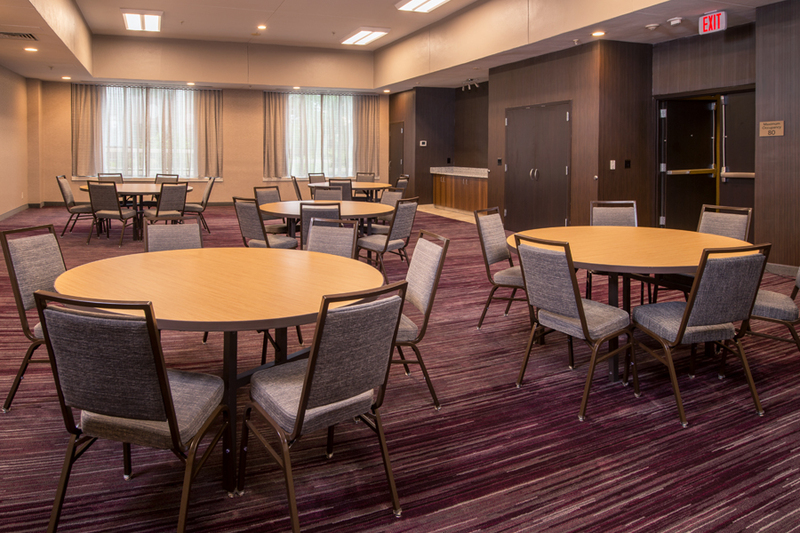 Those who rent the meeting space can enjoy easy access to an open courtyard with natural light and fresh air during their event. View the meeting room here and the courtyard here. Brittney Rice, the hotel's operations and events manager, says the hotel hopes the renewed meeting space will be attractive to local businesses seeking a spot for their corporate events. It has a maximum capacity of 80, and has so far been rented for a variety of events, including weddings, family reunions and memorials. 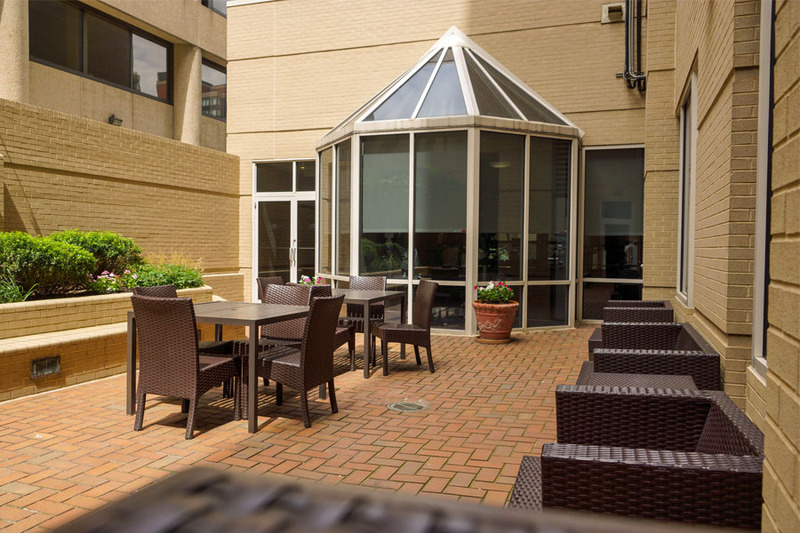 Located at 1533 Clarendon Boulevard within walking distance of the Rosslyn Metro, Courtyard Arlington Rosslyn is a convenient temporary home base for business and pleasure travelers alike. Rice says they see both at the hotel, which is always busy and boasts an occupancy rate that's "on the higher end of the 90s." "We have a great mix of clientele: business travelers year-round, and families and vacationers in the summer," Rice says. "A lot of Marine Corps Marathon runners stay here [in October], too. We're so close to so many great restaurants and are just two blocks from Metro, one Metro stop from D.C., and 15 minutes from Reagan National Airport. Staying here is like being in the city but not really in the city." Rice adds that the Courtyard Arlington Rosslyn team is happy to be in the neighborhood, and enjoys welcoming those who live nearby to the hotel to use the meeting space or enjoy happy hour in The Bistro restaurant. On August 24 from 6:30-8 p.m., Courtyard Arlington will be the site of an Arlington Chamber of Commerce Event, Business After Business. This monthly networking event is a great way to end the work day by mingling with Chamber members and prospective members at a member-hosted venue. Soft drinks, beer, wine and food will be included in your registration fee. This particular Business After Business event will be nonprofit-focused. It's a great chance to connect with a wide range of business professionals in the Arlington community. The cost is $25 for Chamber members and $35 for prospective members. Learn more here.